While California’s current drought is the providence of Mother Nature, the severity of the impacts is the consequence of decades of failed leadership by state administrations. Water supplies for everyone and everything – families, fish, farms and factories – are unreliable because state officials have repeatedly ignored and delayed implementation of a succession of broadly supported plans that would work for all regions. While in many individual years there is not enough water for all needs, when averaged over time there is sufficient supply. Not surprisingly, the most conflicts in demands – particularly between fish and farms – occur during times of low rainfall. Further, outflow from the Sacramento-San Joaquin Delta to the ocean varies widely, from as little as 6 million acre-feet in dry years to 43 million acre-feet in wet years. Ironically, more water has been exported out of the Delta during dry times than during wet times historically because the necessary facilities don’t exist to take advantage of an abundance of water in wet periods. The challenge – and opportunity – is to construct the essential infrastructure to capture significantly more water in wet times, convey it south of the Delta, recharge groundwater basins in the San Joaquin Valley for agriculture, and fill reservoirs in Southern California in order to get through times of low rainfall. This would leave more water in the Delta during dry periods when it is most needed for the fish. This common-sense approach is referred to as “water banking” with a “big gulp, little sip” operating regime – distinctly different from current practices. Of course, there also must be an aggressive commitment to all water-use efficiencies – conservation, recycling, watershed management – by all who benefit from new infrastructure. And there must be investments in a Delta strategic levee system coupled with improved through-Delta conveyance. Although voters approved a $4.1 billion bond measure in 2006 for reconstructing levees, the state has spent very little in the Delta – again delaying doing the right thing in a timely manner. Thirty years ago I led the fight against the peripheral canal scheme because it would have been an environmental disaster. It was a huge isolated conveyance facility sized at 21,800 cubic feet per second, capable of taking all the current average freshwater flows in the Sacramento River.Nobody today in their right mind is proposing an isolated conveyance facility of that enormity. The governor’s current plan for twin tunnels to circumvent the Delta is a combined 9,000 cubic feet per second – just 40 percent of his original proposal in 1980. Equally important, we launched the successful referendum on the peripheral canal because the state would not agree to build the essential storage before operating the “big ditch” – which only deepened suspicions in Northern California about the real motives of the proponents. Without the physical ability to actually capture more water in wet times, an isolated conveyance facility alone is perceived as a “death threat” to the Bay Area environment and economy because of its capacity to divert so much vital fresh water from the Delta ecosystem. The essential components and linked actions for responsible water management – conservation and construction, storage and conveyance – have been the foundation of a series of broad-based consensus plans: Southern California Water Committee-Committee on Water Policy Consensus Conservation Agreements (1991); Cal-Fed Bay-Delta Plan (1998) and Record of Decision (2000); and Delta Vision Strategic Plan (2008). They also are in recent documents from the Delta Stewardship Council, Association of California Water Agencies, and three state agencies. Yet, state administrations have focused primarily on isolated conveyance without making the legally reliable commitments to implement the full solution, especially building off-stream reservoirs and underground water banking facilities. Witness: The plan for the twin tunnels has no commitment to storage and no linkage to water-use efficiency. Fortunately, once again there is a growing chorus of water leaders and stakeholders statewide calling for a comprehensive fix that includes the key components. Now is the time for the state to implement a workable solution for all of California and to build the water infrastructure to take advantage of Mother Nature’s bounty when it is available. 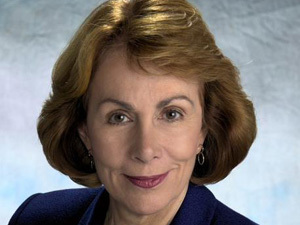 Sunne Wright McPeak co-chaired the California Water Conservation Coalition, co-chaired the Cal-Fed Bay-Delta advisory committee, served on the Delta Vision task force and is president of the Delta Vision Foundation. This story originally appeared in The Sacramento Bee.